2 Comments As an Amazon Associate I earn from qualifying purchases. LEGOS! There’s so much to love about them. 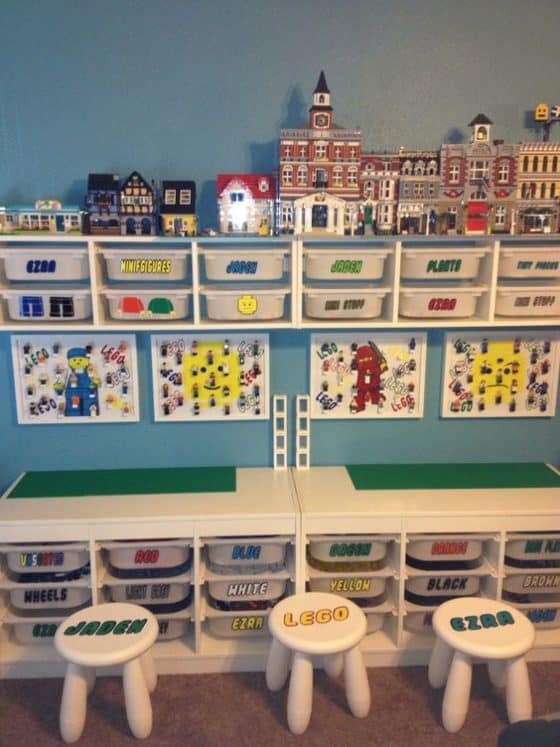 These clever LEGO Organization Ideas will help you love them even more. 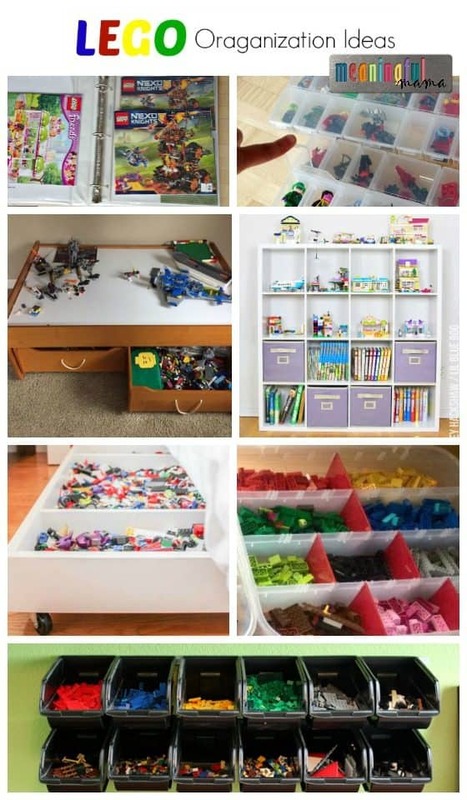 As a parent whose child is into LEGOS, I am well aware of the storage dilemma. Your child might be one who likes to build, take-apart and then rebuild. However, you might have the kid that likes to build and keep built so he or she can continue to play with the functioning set or display it for all to see. Whatever the case, I have collected storage ideas from around the web. Also, my own Facebook audience provided their LEGO organization solutions. * Affiliate links provided for your convenience. Anything you purchase through these links helps to support Meaningful Mama and the free resources I provide. Thank you for choosing to support us. I am contributing my own ideas here, but I am so inspired by the clever solutions of others. 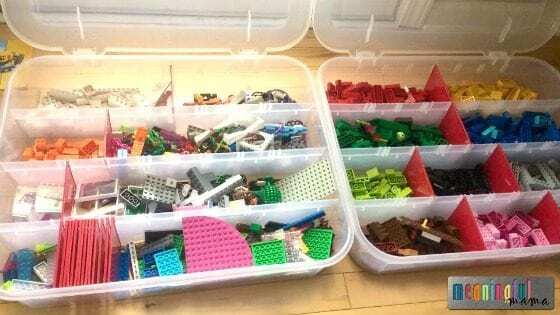 I believe that each family will adopt a system that works for them, but I definitely want to provide a number of LEGO storage and organization ideas so you can see what works for your peeps. 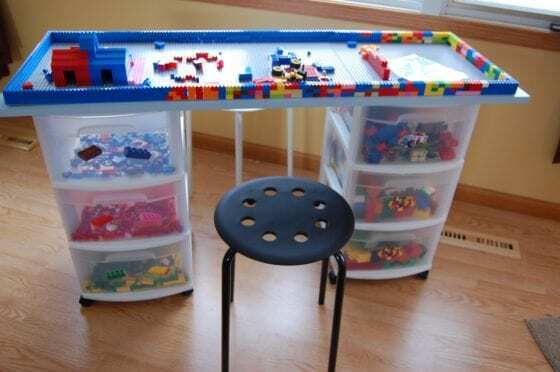 One of my readers re-purposed their train table as a solution for the LEGO storage dilemma. The top provides a wonderful surface for building or playing. The ridge around the edge prevents pieces from falling and getting lost. The bottom drawers provide ample storage. I love the inexpensive shelving units around the table that become a great way to display and organize current favorite creations. Bead containers have been a great solution for storing all of the figurines and accessories. My son would rather play with all his people than the vehicles and structures they come with. He loves having these individual bead storage cases , where each compartment houses an individual guy. The clear container helps him quickly find the figure he wants. Bead storage boxes with larger compartments provide a great way to organize all of the accessories. My son is into the Nexo Knight LEGO series , so he likes a place for all of his shields and weapons. Our family likes to sort LEGOS by color. Our family painstakingly sat and organized by color one day. I really thought it might by a silly endeavor, quickly become a big mix of colors again – like the never ending Play-doh dilemma. However, it has stuck, which is nothing short of a miracle. When the kids want to re-build a particular set, they simply pull out the gallon Ziplock bags of appropriate color and start searching. We have all the colors organized in a plastic drawer set. One of my clever readers also organizes by color. She found these plastic ornament bins with adjustable compartments where she houses her children’s collection. One of my readers showed me how her family likes to organize by category. 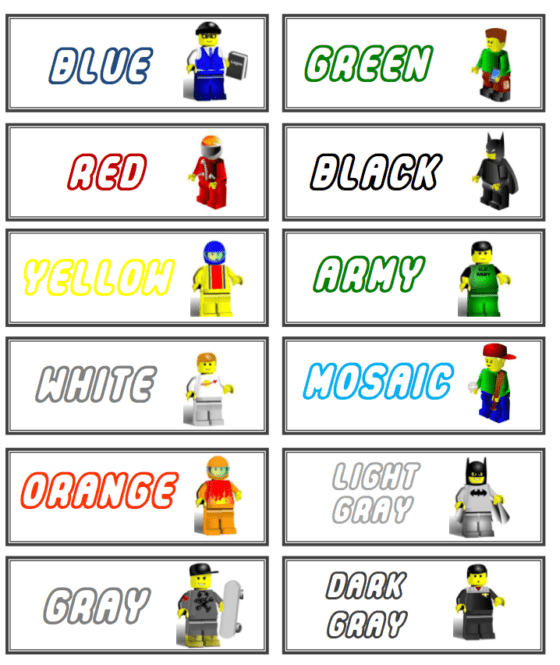 LEGO comes in a variety of categories including Super Heroes , Nexo Knights , Ninjago , Friends , Star Wars , and LEGO City . 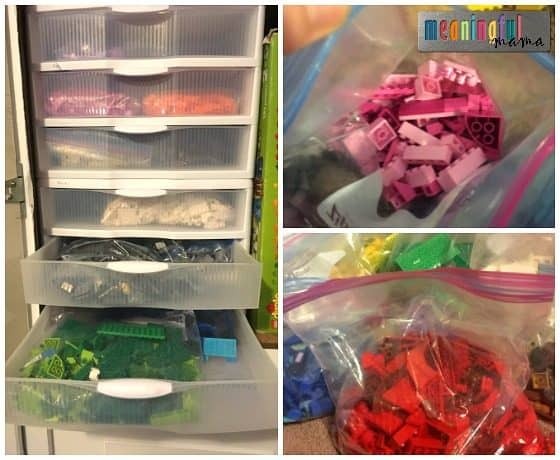 Depending on your child’s interest or mood, they might find it easier if their LEGOS are sorted by sets. 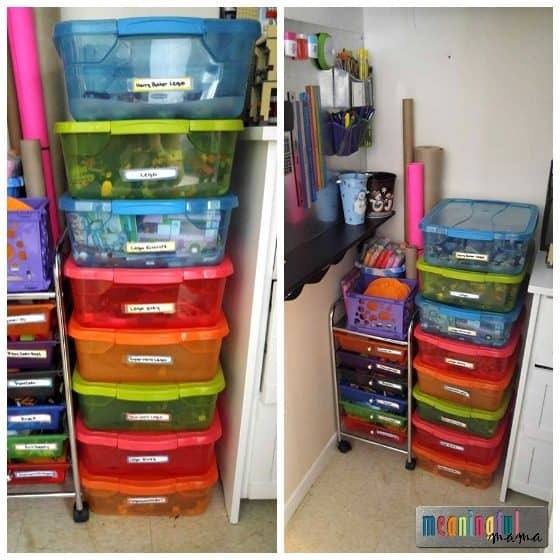 I love the colorful plastic storage bins and the organization cart on rollers that my reader found. 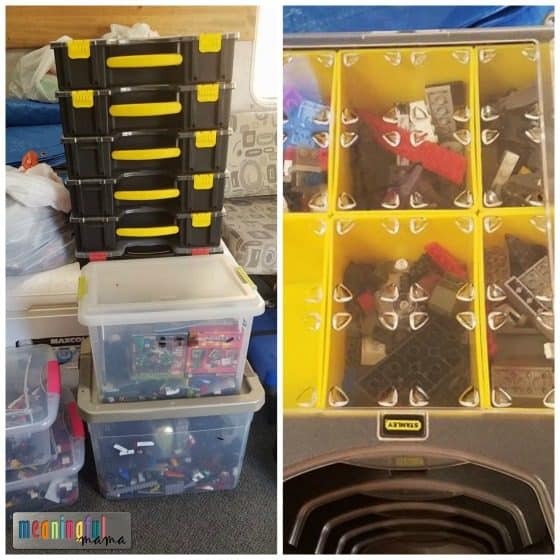 Another one of my readers found these fabulous Stanley organization bins with compartments for organizing her sets. 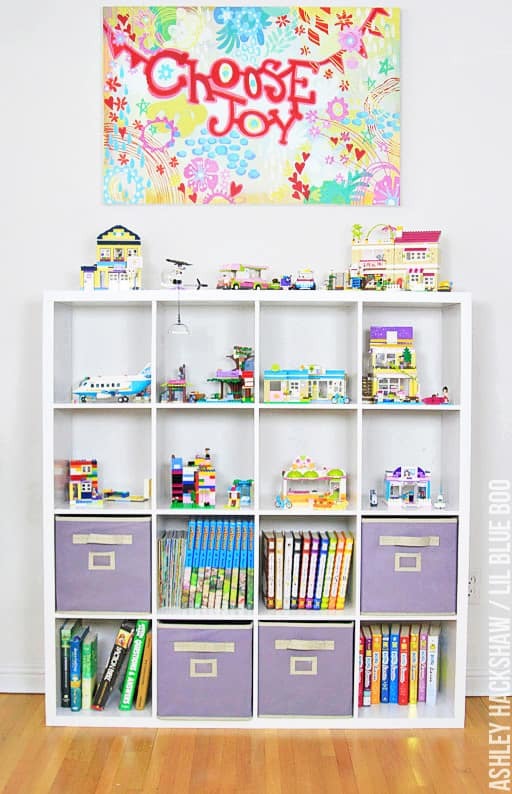 I love the way Ashley Hackshaw of Lil Blue Boo makes the LEGO sets look like a piece of art, while adding some beauty and color to an IKEA shelving unit. 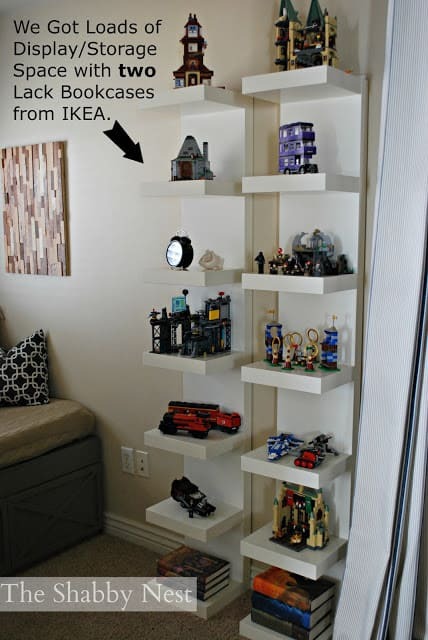 The Shabby Nest reveals another cute shelving solution for the kids who like to keep their LEGO sets together. 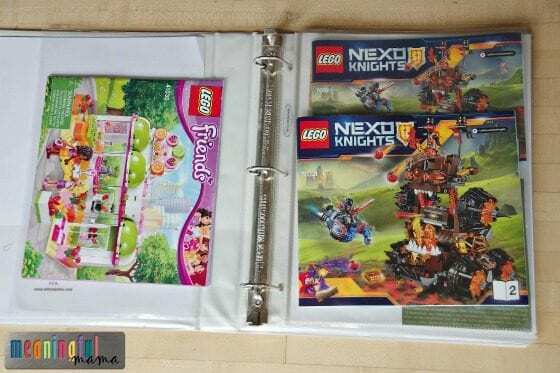 Have you been at a loss for how to organize the LEGO instruction booklets? I have stored them in a file cabinet, but I love this solution offered by a reader. I quickly adopted it. All you do is get a three-ring binder filled with plastic paper protectors . Simply slide the booklets in. If you have a variety of set categories, you can use notebook dividers for better organization. Happiness is Homemade provides this clever solution for organization. 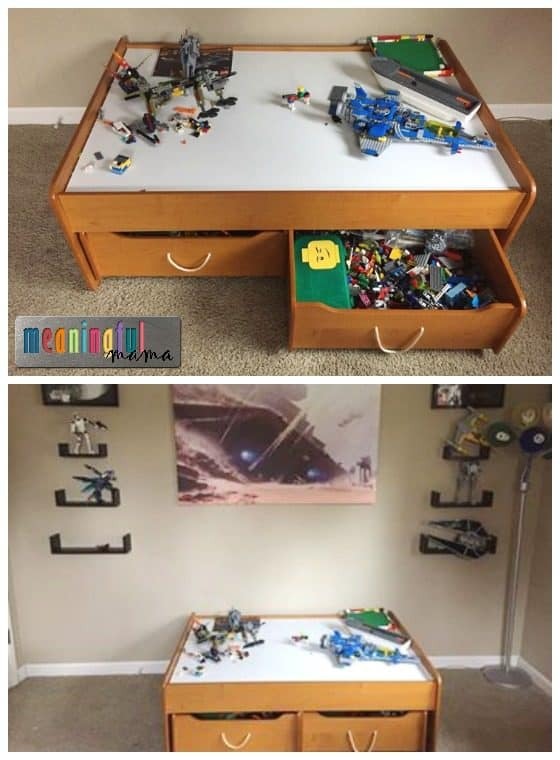 Our Wee Family provides this clever idea that uses storage bins as the base for a DIY LEGO table. Find out how to do it here. 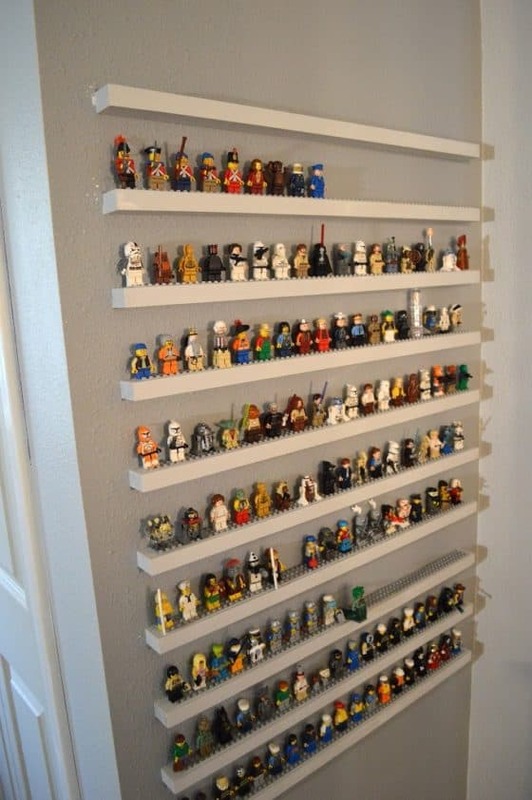 Jedi Craft Girl shows us how to make a LEGO figurine storage solution and art piece here. These adorable storage labels are available here. Thank you, Heather J.’s Life for the great resource. It’s often hard to find the room for all those LEGOS. 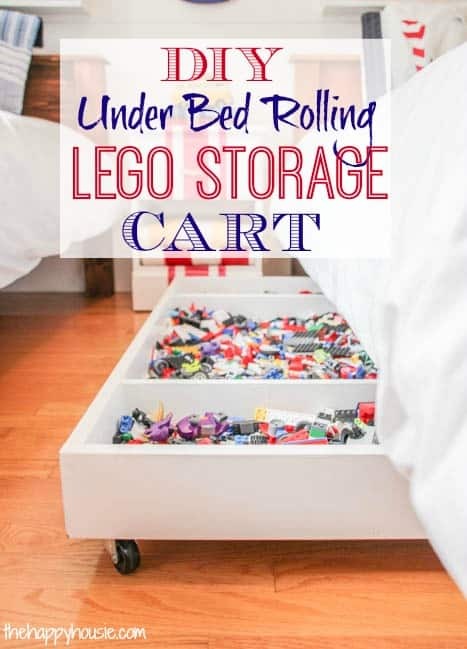 The Happy Housie gives a great tutorial for making a DIY LEGO storage cart. …this will do. 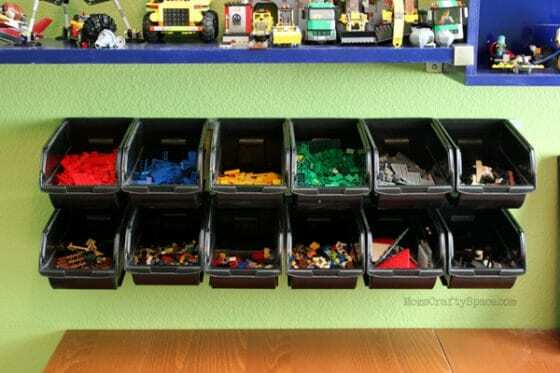 More LEGO storage solutions to be found at Keep Calm Organised. 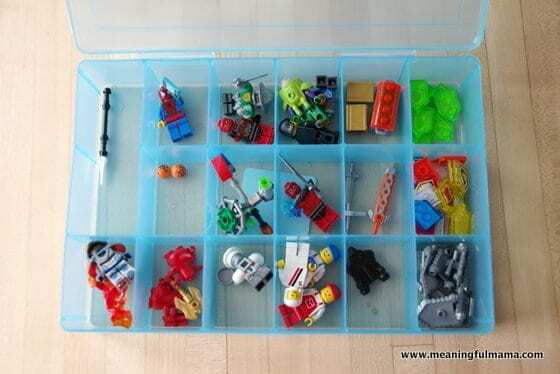 I hope these great LEGO storage solutions help contribute to your own Clever LEGO Organization Ideas. Thanks! I was inspired by these ideas too. We actually just did a major LEGO clean-up, and it felt so good to have systems in place.